After a relatively balmy few months, the recent freezing temperatures and bouts of snow signal that winter has finally arrived in Central Massachusetts. 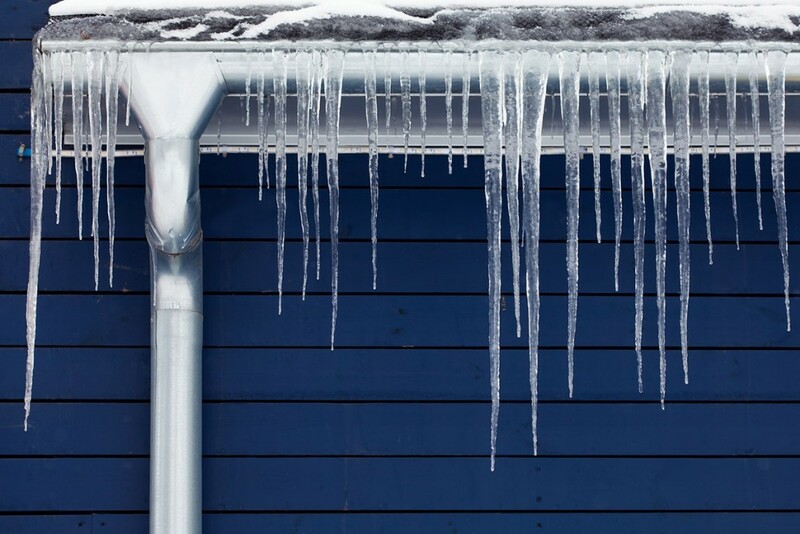 With cold temps and snow loads on the roof, Douglas and Southbridge area homeowners have to worry about the formation of dreaded ice dams. With a little preparation, though, you can protect your roof from ice dam issues by ensuring that you have good roof ventilation. For roof venting, LJ Construction follows standard Massachusetts building code, which calls for 1 square foot of free ventilation area for every 300 square feet of attic floor area. This is divided equally between soffit vents (intake) and roof vents (exhaust), allowing for free flow of outside air through your attic. So, for example, if you have a 1200 square foot attic space, you would need at least 2 square feet of roof vent openings and 2 square feet of soffit venting. For a new roof or a roof repair, roof vents can be individual square vents, a continuous ridge cap vent or even vertical ridge vents along gable walls. Likewise, soffit vents come in various forms to fit with your Sutton home’s style. For questions about your Worcester area home’s roof venting system or about ways to minimize ice dam formation, contact LJ Construction today for a free inspection and estimate.